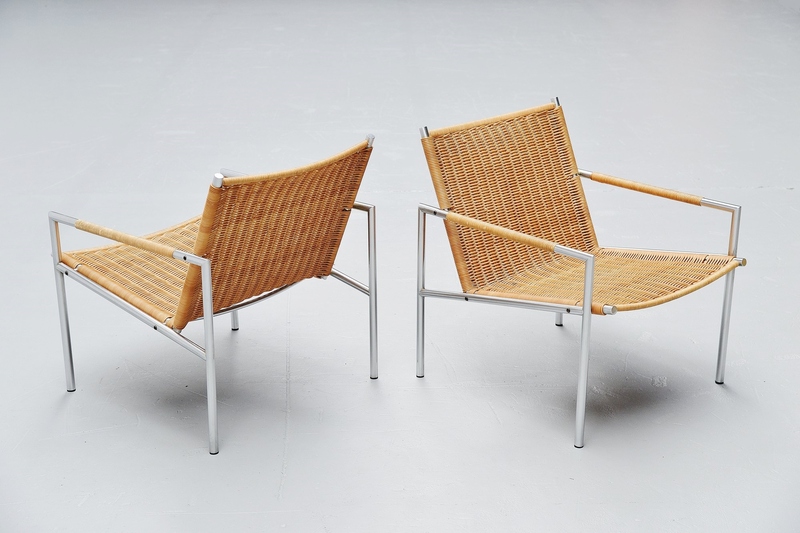 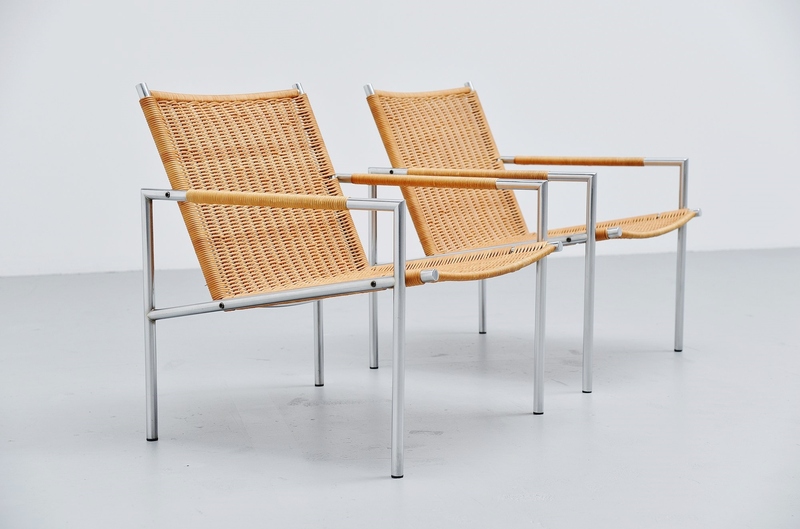 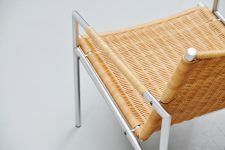 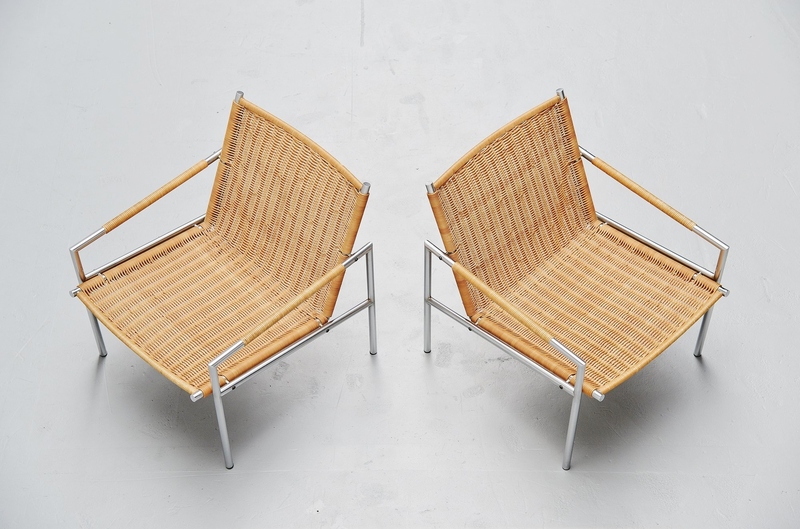 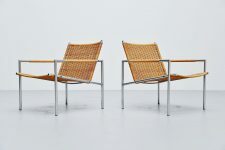 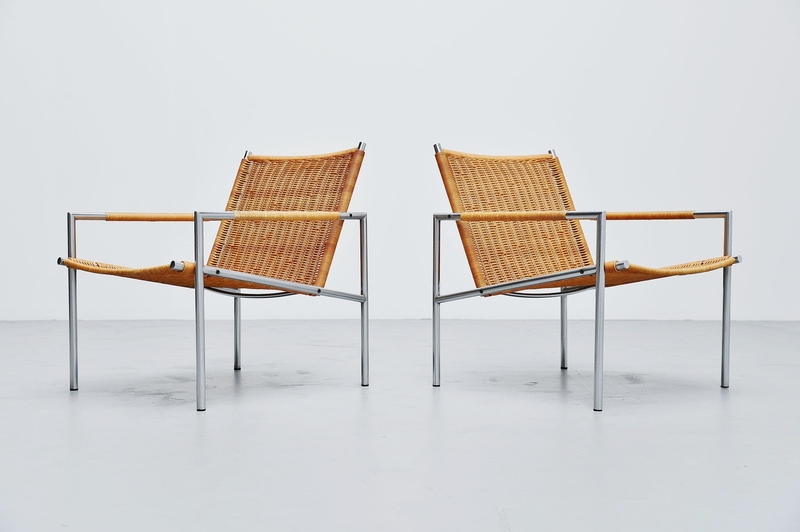 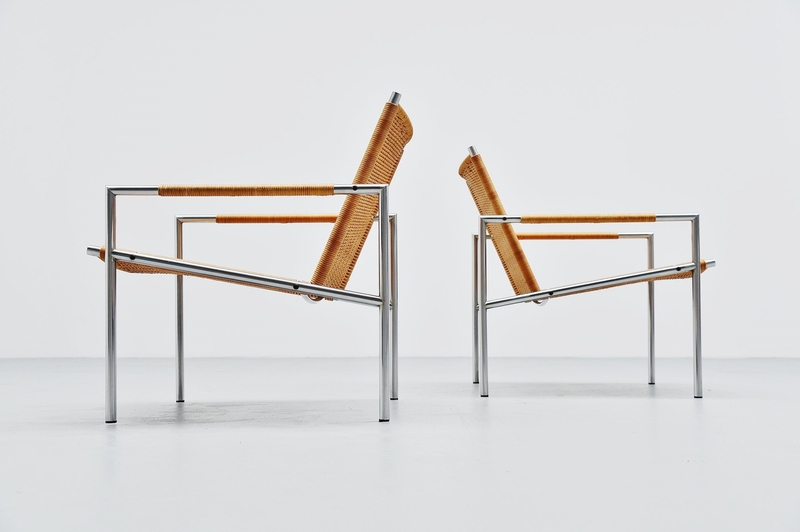 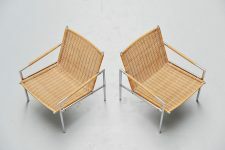 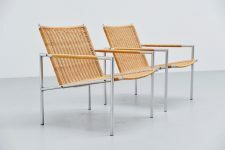 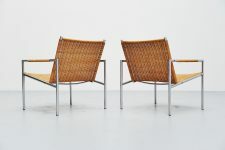 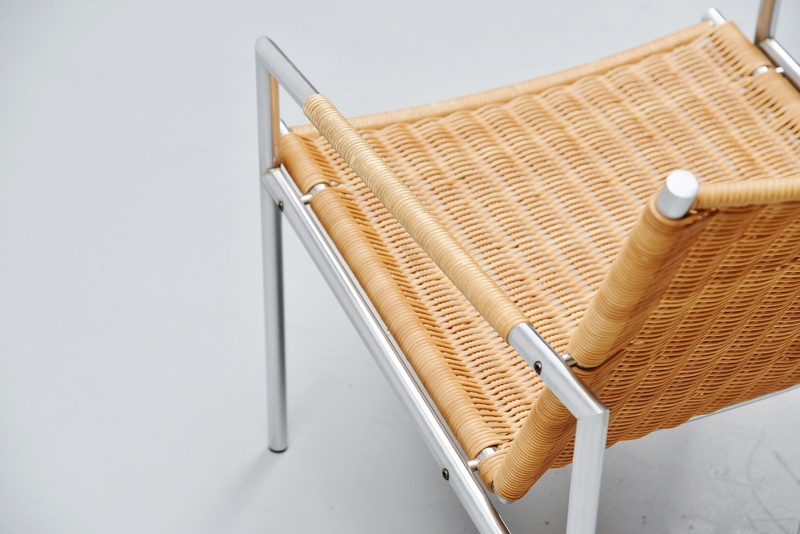 Modernist pair of lounge chairs model SZ01 designed by Martin Visser for ‘t Spectrum, Holland 1965. 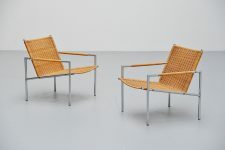 These chairs have a brushed steel tubular frame and very nice woven cane seats and arm rests finishing.. 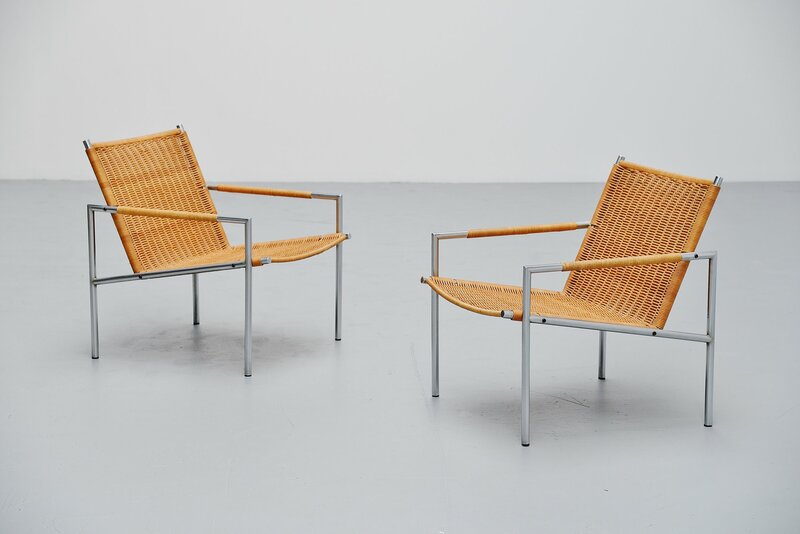 The cane has a nice patina from usage but is still in perfect condition and that’s what makes these chairs beautiful. Very nice early edition from the mid 1960s. 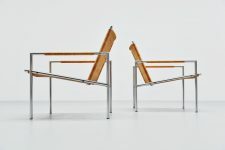 The chairs are in excellent condition and seat fantastic. 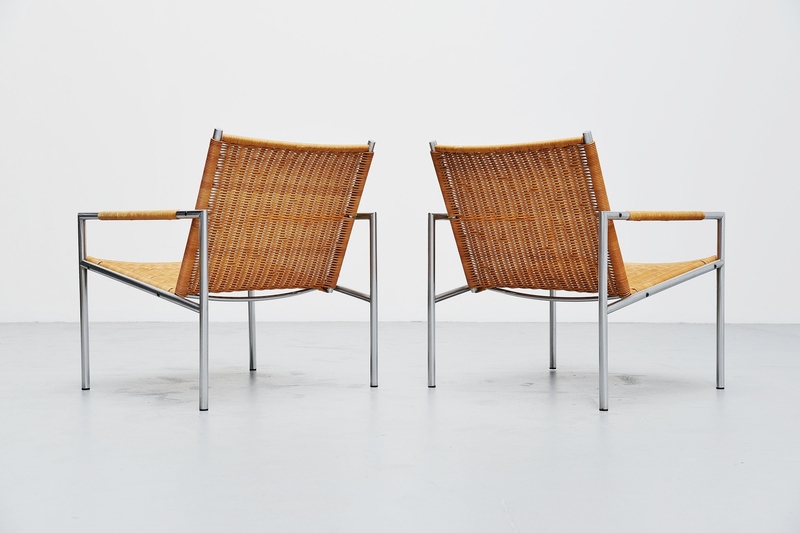 Hard to find in a matching pair as these in this condition.